I’m working on a jewerly box for my niece. She just graduated from High School and I wanted to make something for her to take to college with her. 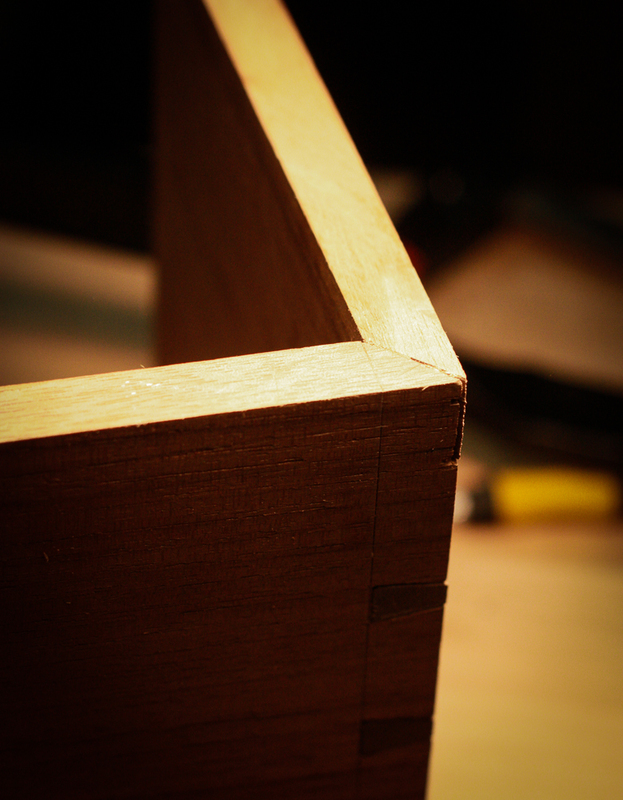 I also want to use dovetails with a mitred corners so that the top joinery will look nice. Here’s my practice piece. 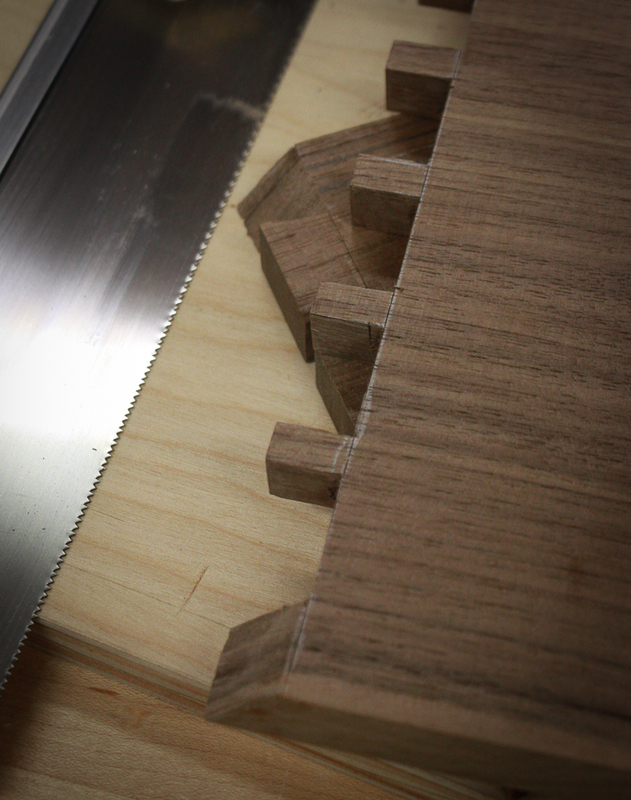 .. the razor saw I used to saw through the mitred joint. 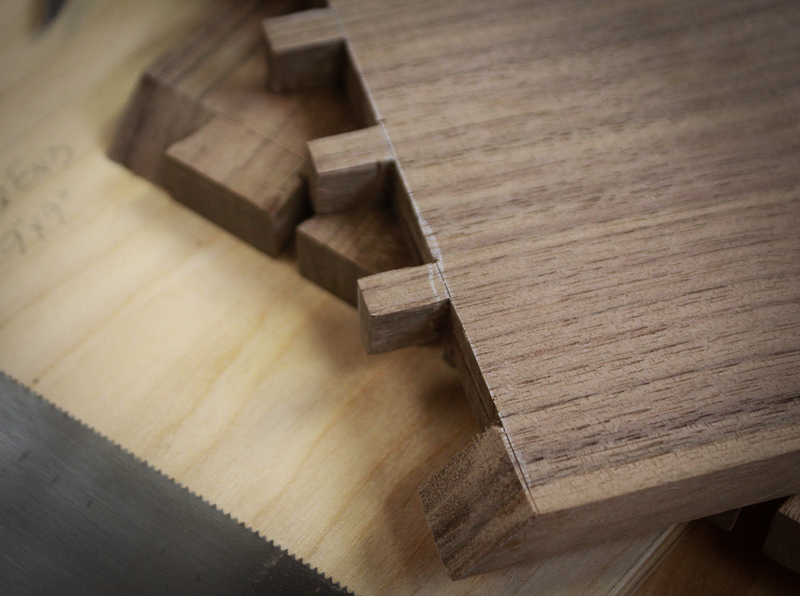 Joint together with the mitre. Here’s the video where Chris demonstrates how to do it. 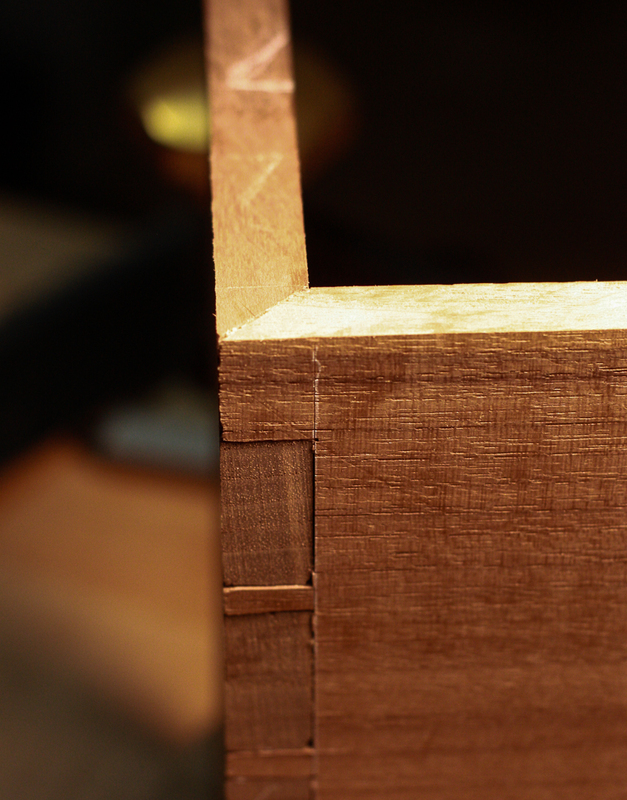 This entry was posted in jewelry box and tagged mitred dovetail. Bookmark the permalink. 4 Responses to I did it! Agreed! I’m going to have the house furniture done some day in the next few years, but I love the excuse to do something for someone else. Very nice. That joint is on my to-learn list.